Focusing on charming, well-liked actors and adding the studio’s reputation as a hit maker helps sell this classic comedy. If you were to set out to design the perfect farcical romantic comedy in a lab you’d be hard-pressed to create something more spot-on than the 1940 George Cukor-directed classic The Philadelphia Story, coming to Blu-ray this week courtesy of The Criterion Collection. Katherine Hepburn stars as Tracy Lord, a Philadelphia socialite who’s both romantic and fiercely independent. She recently married – and quickly divorced C.K. Dexter Haven (Cary Grant). Now she’s getting ready to marry George (John Howard), a ceremony Spy magazine has sent Macauley Connor (James Stewart) to cover with the help of Haven, who also has worked for the magazine. Tracy’s sudden position with three eligible, charming and attractive men – her ex, her fiancee and an amiable nice guy – causes a series of comedic problems and situations for the whole group. That’s quite the sales pitch, notable for a number of reasons including the use of the word “snooty.” Apparent also is the gender stereotype of the period in that a well-off, educated and intelligent woman is described with that adjective, as well as that she’s positioned solely in relation to her romantic entanglements. Finally, as with many other such posters, it provides a glimpse into a time when Broadway productions were held as both high-art and yet were also meant to be accessible to the mainstream audience. Broadway is used as a selling point and theme in the theatrical trailer, with the opening images showing theater marquees and once more presenting this as an adaptation of the stage sensation. All three of the leads along with Ruth Hussey, who plays a photographer accompanying Stewart, are introduced before we get into the story. That story shows the contentious relationship between C.K. and Tracy, as well as the tenuous romance between her and George. The three men have a face-off when Mike brings Tracy home drunk and we see her being dressed down by her father for being less than the ideal, loving, endlessly-understanding woman. It ends with the promise that yes, it’s another star-studded good time from MGM. As is often the case in trailers from this era, it’s heavy on studio branding and light on story. Fully half the trailer is devoted to polishing MGM’s own credentials or simply showing the faces of the four actors showcased, with the remaining time allowing the audience to see the characters and the dynamics between them. That’s a shame since it’s hard to imagine a more talented cast of actors than Hepburn, Stewart, and Grant, all of whom handled fast-paced dialogue with ease and excelled at mixing verbal sparring with physical humor. 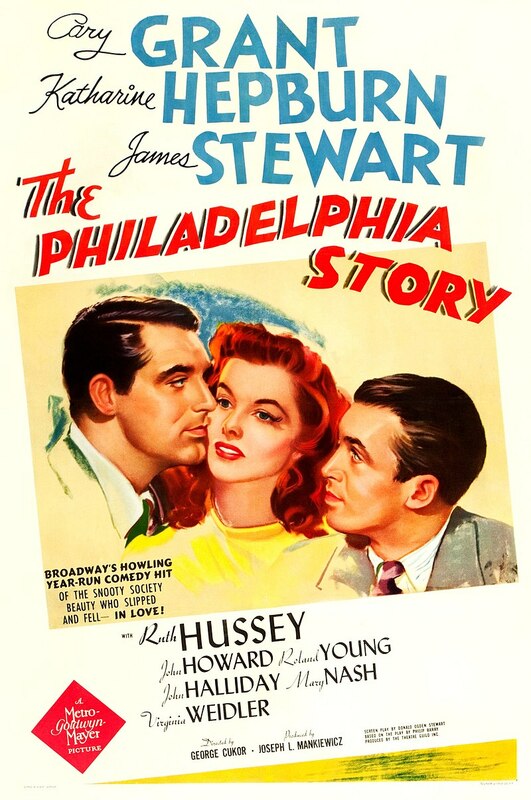 Did The Philadelphia Story get its due when it was sold to audiences in 1940? It’s hard to argue with an approach that leverages the popularity of the three lead actors like it does while it also ties it to the already-successful material. With the benefit of 77 years of hindsight and perspective, you can see how it greatly undersells the charm and wit of those leads, though it’s likely audiences at the time didn’t need reminders as all three were fixtures on the screen. Still, that seems like an oversight now, though it didn’t hurt the movie’s box-office or long-term reputation at all.